Numerous studies show students of the arts learn more effectively in all other areas of study, & develop skills needed to compete in our growing fast-paced global society. Whether it's your team for the board room or your saturday T-ball champs the skills they learn in a Shore Circus workshop will build self confidence as well as team skills. 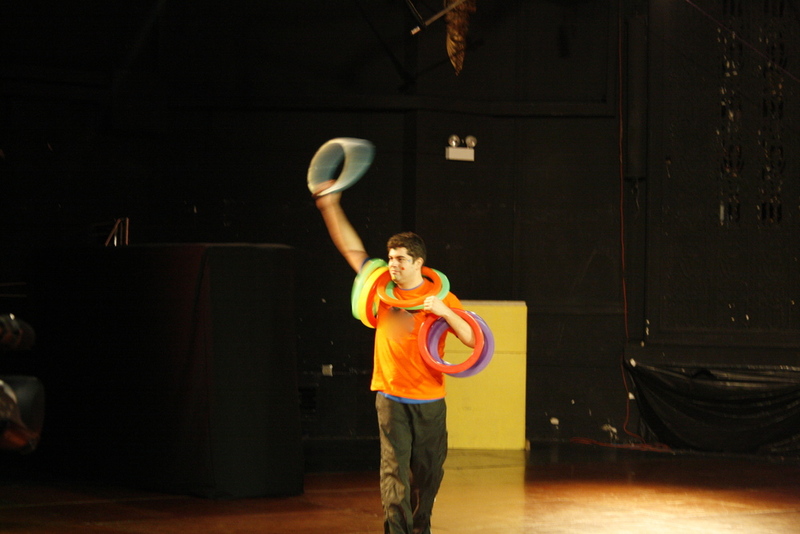 Circus skills promote communication, coordination, and cooperation. Participants gain critical analysis and self critique skills, show a willingness to experiment and learn from their mistakes, and have an ability to make clear connections between their work and the outside world. Shore Circus is a full inclusion program. All ages and abilities are cast and work together. Over the course of the program performers balance critical thinking with the possibility and potential of imagination. Starting with simple yet impressive stunts, shy or apprehensive members gain confidence and experiment with fearlessness. The more adept help ready and refine other performers' routines, and the individualists discover that only the group can build a pyramid. A successful production requires a balancing of strengths and weaknesses, as everyone tests their limits in a safe and trusting environment. Your team will build unit cohesion as they build their show. We custom tailor half day to week long workshops for your retreat, staff meeting, or annual celebration's goals. Workshops including aerial apparatuses, german wheel, juggling, plate spinning, diabolo, acrobatics, and more.